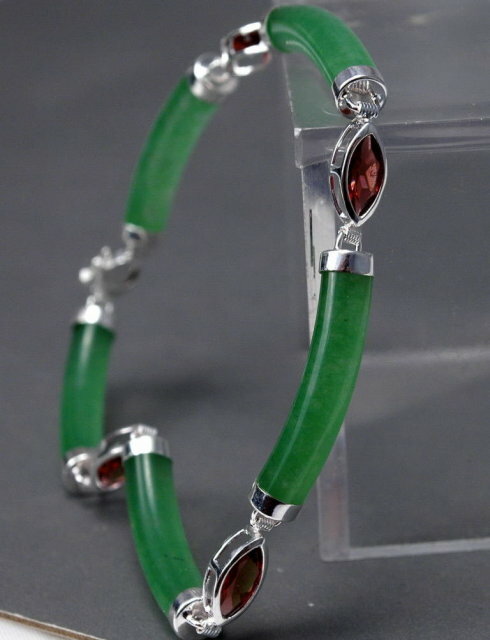 Fabulous and very fine Chrysoprase & Garnet Sterling Silver Links Bracelet. 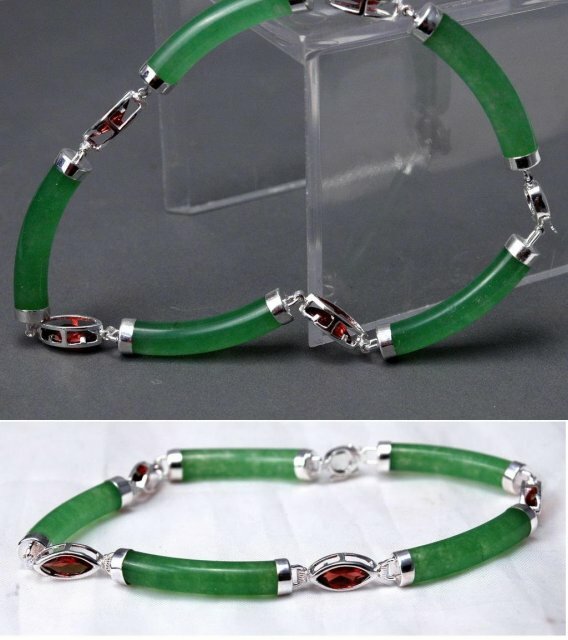 The stones are all genuine and the bracelet is in excellent condition. The bracelet is 8" long. 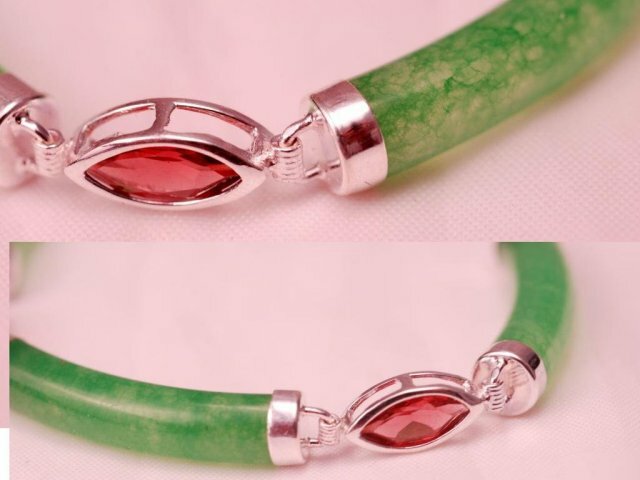 The Chrysoprase is a beautiful shade of Green Apple and is a combination of opaque and translucent. Each of the stone bars are 1" long and 1/4" . wide. There are 4 set faceted ovate garnets placed between each of the bars. It is a stunning piece and in mint condition. 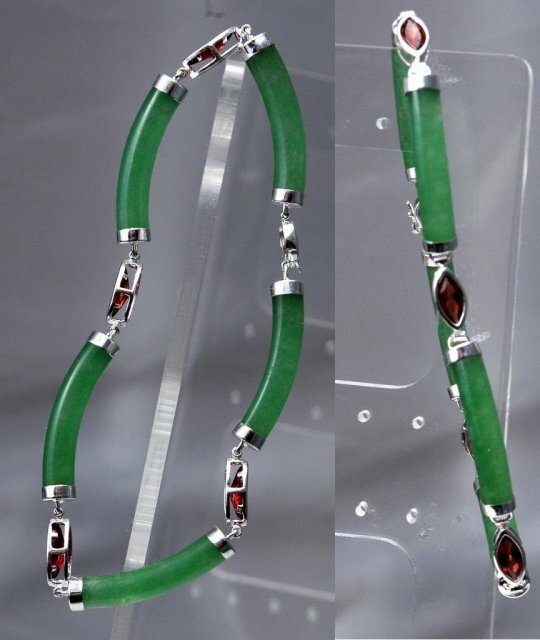 Items Similar To "Chrysoprase & Garnet Sterling Links Bracelet "